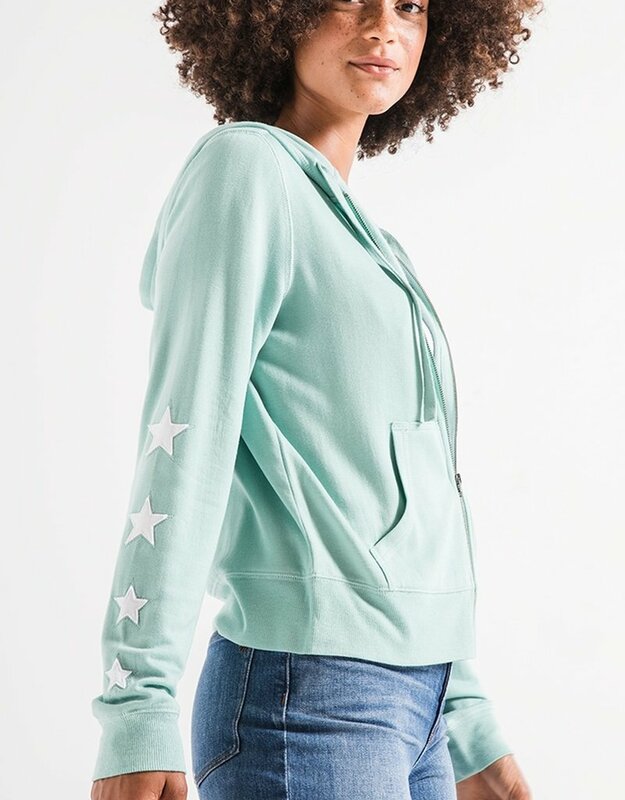 You’ll be seeing stars in the latest stellar collection addition with this zip-up premium fleece hoodie featuring kangaroo front pockets, applique art along both sleeves, and a jersey lined. Care: Machine wash cold, delicate wash, gentle cycle, wash dark color separately, do not bleach, tumble dry low, warm iron if needed. 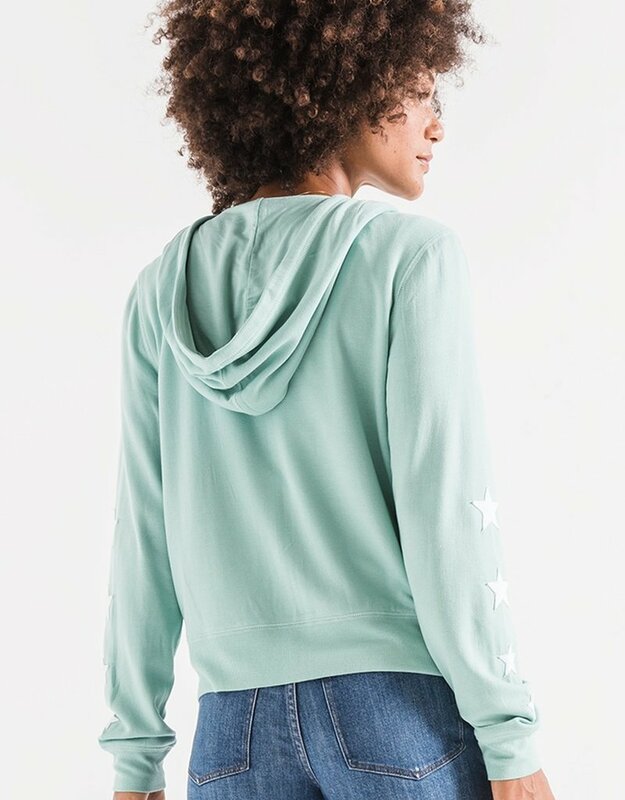 The star premium fleece joggers features an elastic drawstring tie-front waistband, rib cuffed bottom hems, and star appliques along both pant sides, we know this will be a new favorite.